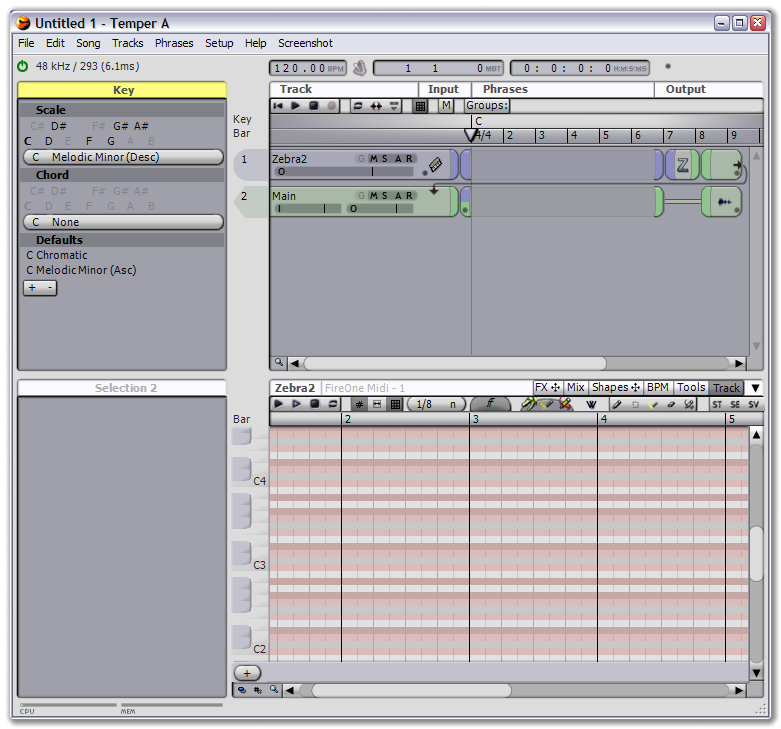 Temper, a MIDI+Audio sequencer with an emphasis on MIDI. Temper providesa straight-forward user interface that quickly guides you into advanced group operations and unique functionality such as decor and perform time, all tied together with an underlying shape concept for describing data transformation. Easily integrae Temper with your other software via basic drag-and-drop behaviour, more advanced sync functionality, or seamlessly as a VST.